The stars are out in force from the world of football and music to give Stiliyan Petrov a fitting testimonial at Celtic Park today, with names like Dimitar Berbatov, Henrik Larsson and Chris Sutton turning out, Kenny Dalglish and Martin O'Neill managing both sides, as well as some of his Villa team mates like Shay Given and Gabi Agbonlahor taking part. 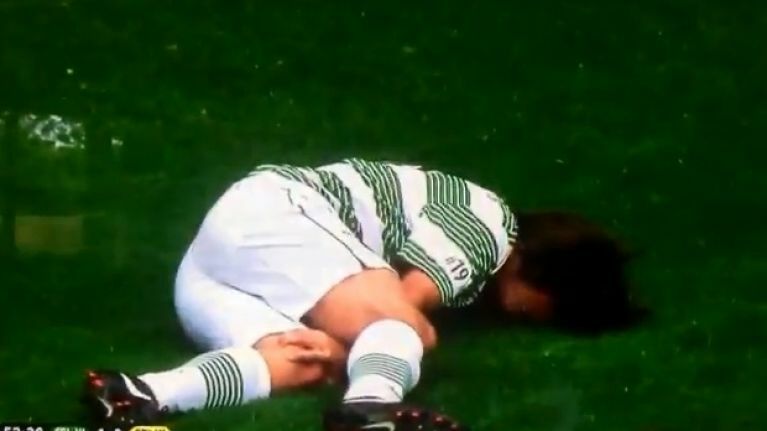 It was Agbonlahor who got arguably the biggest cheer from the home crowd however, when he wiped out One Direction star Louis Tomlinson, who was struggling to get the ball clear on the edge of his box. The audible screams from the tween girls in the crowd lets you know how they feel about it, but it was certainly popular amongst the rest of the lads who were watching on.